Looking for a home takes a lot of time from many people. Have you ever invested your time and energy into a person only to have them waste your time? It's frustrating and distracts you from other things that are important in your life! Often buyers start their search buying browsing homes online. That's perfectly fine, it can help you see what you like and don't like, help you decide areas you may or may not be interested in and help you figure out what you are willing to compromise on in your new home. 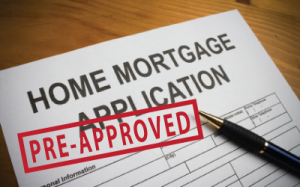 However, until you get a pre-approval letter or at least talk to a licensed mortgage lender, many agents are not going to be willing to show you homes. When a realtor takes on a new buyer they commit to giving a lot of their time and energy. For them to give the best possible service they need their buyers to be pre-approved. A pre-approval lets the buyer and agent know the price range to focus on when searching homes. Often buyers think they know what they want to spend on a home, but are surprised by the amount that they are or are not approved for. The last thing a buyer wants is to spend their time searching and viewing homes only to find out they are not in their budget. A good Realtor will spend their time finding the right properties for you to see in your budget and researching the property's market value to provide guidance to you. Lastly, no seller will even look at an offer without a preapproval letter, which could cause you to miss out on your perfect home! If you are ready to buy your next dream home, simply click on the below link for the Pre-Approval Application and let's get started!